Need any blood today, missus? Meet Nigel. Nigel is a door-to-door blood salesman. 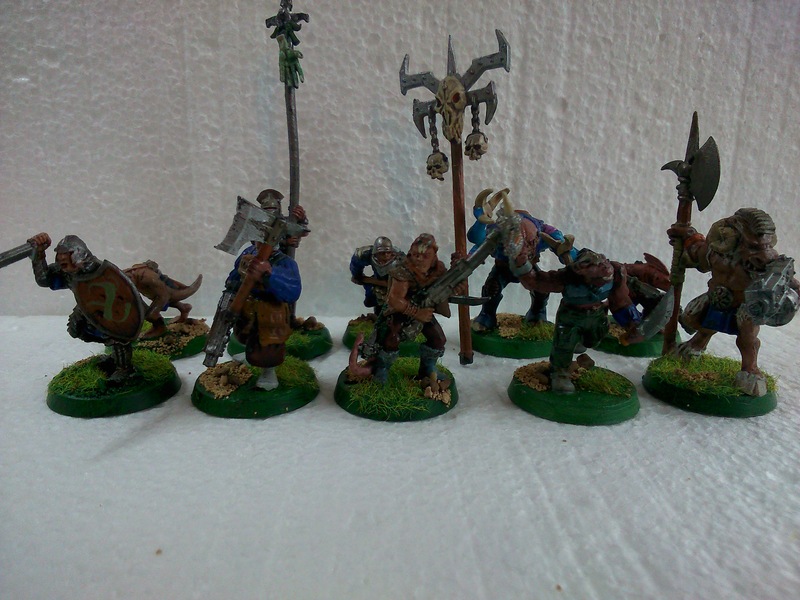 He has been painted for the Oldhammer Forum’s annual painting challenge for 2016 – “Chaos Villagers”. Nigel has a bestial face mutation, and an extra arm with a beweaponed extremity. 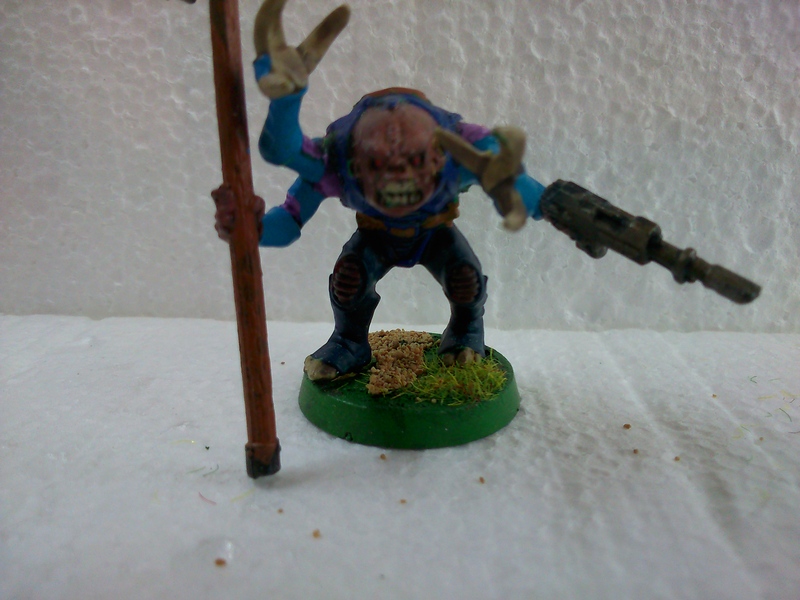 Obviously I used a plastic beastman and glued a tyranid arm onto him! He’s got a bucket filled with lovely blood and carries a banner advertising his wares. Quite pleased with this, enjoyed making him. Won’t leave it so late next year! 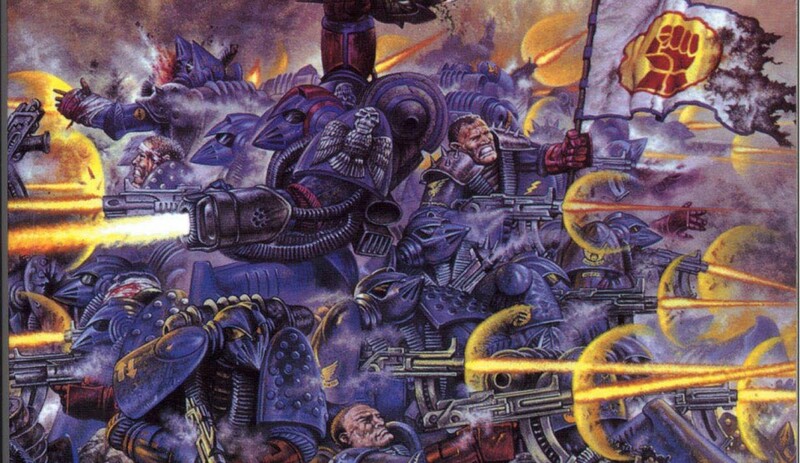 I’ve tried to include some narrative touches – for example the front row guy with the axe also has a Chaos Marine bolter, but there’s no clip in the bolter. He’s just showing off something he found but can’t use. Of course, if he’s lucky he’ll die before he gets found by a real Chaos Marine! Likewise, of course, the presence of the hybrid. Masquerading as a mutant during a chaos uprising might be a perfect place to hide until you can breed and pass on the ‘Stealer genes.